Under the Sustainable Planning Act (SPA) there is a requirement for local Government to prepare a Priority Infrastructure Plan (PIP). An extensive report was tabled by Flanaghan Consultings Nigel Caffyn-Parson at the CCRC meeting on 16th December outlining development constraints for Mission Beach and Cardwell in line with plan's vision for village activity centres, keeping densities low and buiding heights limited. 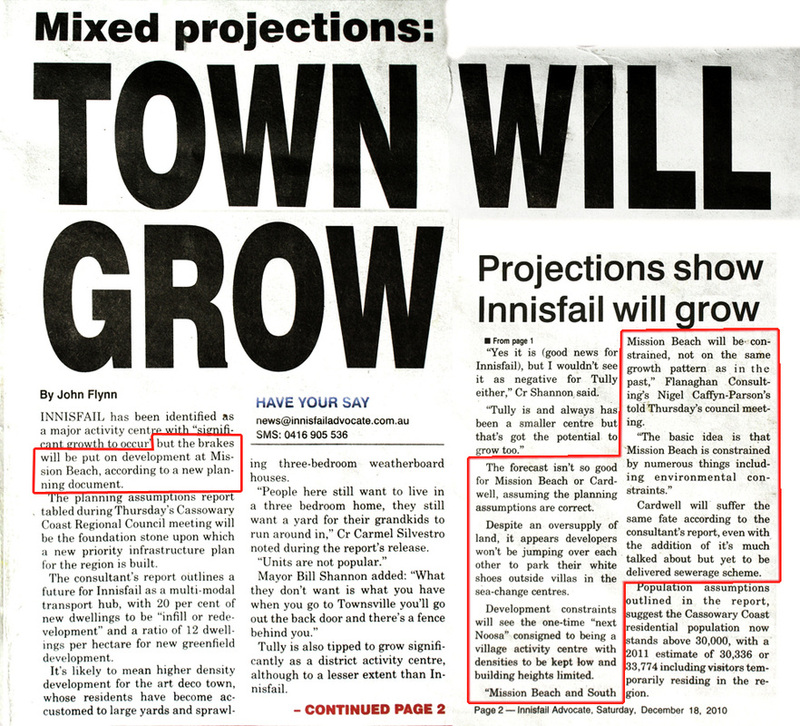 The report on future growth-assumptions has shown that there has been strong poulation growth for Wongaling and Mission Beach while Tully and Innisfail has been minimal. 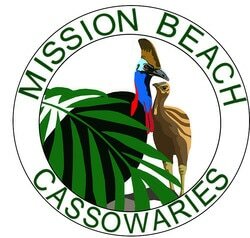 It also stated that the amount of vacant land available at Mission Beach will take 100 years to be used.